I know there are many of us out there with goals to read 1 million pages in our lifetime, and some people with lesser goals. 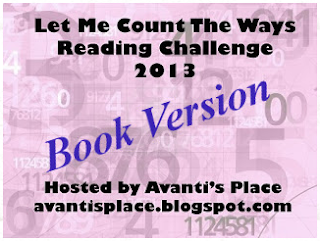 I decided to create a challenge for those of us with a page count goal and for others to start one. I'm excited about this! The challenge goes from January 1, 2013 to December 31, 2013 There are levels for you to choose from. You can always move up a level but you can't go down. If you've seen the number of books I've read then you can guess which level I'm going for . . .
. . . and plan on reading more than 10,001 pages during 2013. A Winter's Respite Read-a-Thon is coming! Saturday Snapshot - The world did end! I've got to use the library more! Books Read in 2012. . .